3 Break Free Of Boring Routines! When most people think of martial arts, they picture lots of kicking and punching that they saw Bruce Lee on television. However, not all martial arts are dependent on this kind of combat. Judo, meaning "the gentle way", is a relatively modern Martial Art that is derived from earlier Japanese fighting styles. 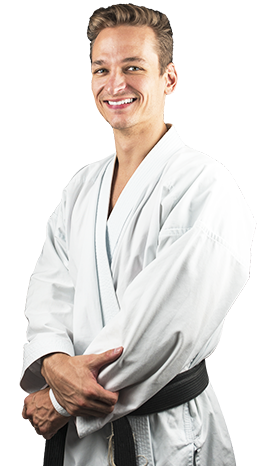 Judo places an emphasis on throwing opponents and subduing them via pins and locks, making it an effective self-defense form.. The Wall 2 Wall Martial Arts curriculum provides a great way for adults to stay in shape. It won’t become dull or routine because as soon as you get better and continue learning, there are always more challenges ahead to keep you inspired and coming back for more! Let Wall 2 Wall Martial Arts help you reach your fitness goals while experiencing confidence and stress relief. A major part of Judo instruction is safety, beginning with the teaching of ukemi (falling correctly). This is critical since it is designed to prevent the student from being injured during training when they hit the ground. 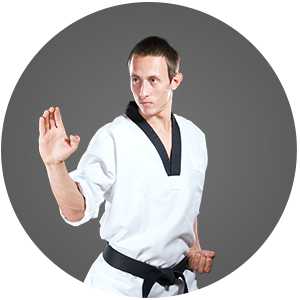 Other components of training include drilling, form practice, and of course, sparring, which is overseen by the Sensei. 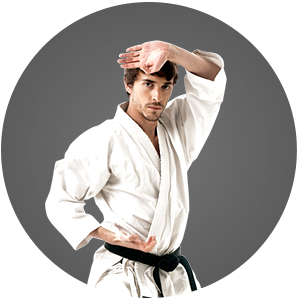 In a life-threatening situation, the pinning techniques Judo teaches are also helpful for keeping a mugger or other attacker down without putting yourself in excessive danger. The chokeholds and body locks (at last resort, of course, since Judo is only a defensive art) are capable of restraining an attacker without having to continually try to strike them. Judo remains an effective means of self-defense by relying on throwing and flipping a larger or more powerful adversary to the ground, then applying ground combat techniques to control an opponent once they are in a position of disadvantage. Rather than relying on striking back, it allows the student to use his or her opponent’s strength against them, and subdue them without exerting undue—or unavailable—amounts of power and strength. Judo is meant to be conservative with energy, meaning that it shouldn’t take all of one’s strength to pull off moves to stop an opponent. It’s also meant to transform the student into a person more likely to contribute to society by emphasizing discipline and increasing focus. Join the ultimate full body & mental workout with Wall 2 Wall Martial Arts. AT Wall 2 Wall Martial Arts, it is our mission to help you become a confident, focused individual with the life-transforming experience that is martial arts. Judo develops a stronger moral character in its students as they work to control themselves through their newly developed skills. As students continue to study the rough and tumble art, they develop stronger endurance, not only physically but also in life. Complex physical activities such as martial arts have proven to strengthen the brain’s neural networks, helping adults improve their focus and reduce stress levels. This can be a great deterrent against depression and other mental health issues. Judo students are also able to develop better confidence and control over their actions.